Work for Formula One or with airplanes? Quentin d’Avout, class of 2008, chose not to choose. As a senior aerodynamicist at Arrivo in the USA, Quentin works on designing innovative vehicles that move almost at the speed of sound for the hyperloop. A concept created by Elon Musk. I’ve been fascinated by Formula One and Airplanes ever since I was a little kid, so obviously I wanted to go into engineering for automobile and aeronautical construction. After I graduated high school, I became a student at ECAM Lyon in 2003. All of my internships were in the field that I love. In my first year, I interned as a mechanical engineer with Rix Industries in San Francisco where I worked on design compressor systems. Then my final year internship was with Ferrari in Italy. I helped improve bobsleigh aerodynamics for the 2010 Winter Olympics in Vancouver. That’s when I can say that my passion for aerodynamics and fluid mechanics really took hold. After graduating with a general engineering degree from ECAM Lyon and a master’s degree in aerodynamics from the University of Southampton (UK), I was hired by Rix Industries as an Aerospace R&D Project Engineer. I stayed there for four years until 2014 when my partner and I decided to sail across the Pacific from San Francisco to New Zealand. 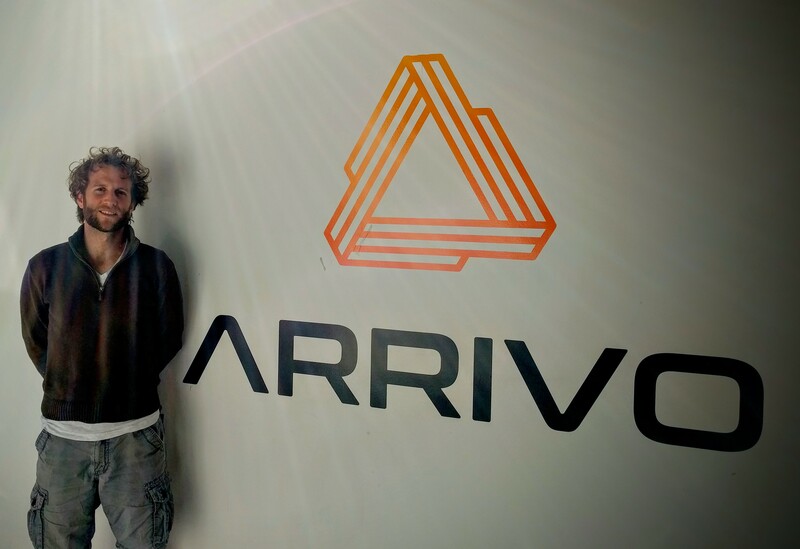 When we returned in 2016, I wanted to focus on aerodynamics and freelanced for some companies for 18 months before receiving a job offer from Arrivo, a new start-up in hyperloop transportation based in Los Angeles. What Does an Aerodynamicist Do? Hyperloop technology consists of moving a vehicle inside an elevated tube at almost the speed of sound. Created by Elon Musk in 2013, this idea has been taken up by many start-ups, including Arrivo in Los Angeles. This young company wants to use hyperloop technology with urban transportation, with shorter lines and the possibility to have stations. If applied to a city like Los Angeles, this system could greatly improve traffic problems. I’m working on vehicle design with Arrivo. As this is a new concept, we need to do a lot of research, especially in four main fields: magnetic levitation, linear electric motors, chassis performance, and aerodynamics. My main job is working on Computation Fluid Dynamics simulations for the shell, and then applying results to theoretical studies. For now, I’m the only one working on this problem, but it really is a team effort, and we really want to create a developed prototype before the end of the year to start phase two of our research. To really attack a technical problem that is this large, being able to deduction skills are crucial. You need to always be aware of what is going on to know what others are doing, and keep an open mind about new developments. For such a new idea, we’re advancing by leaps and bounds every day! Once information has been gathered you have to be logical and efficient in organizing tests. Finally working for a start-up requires outstanding stress, time, and financial management. Any Advice for Future ECAM Lyon Students? School is a great way to learn how to learn, which lets you adapt to any situation. The diversity of fields and careers that ECAM Lyon alumni work in speaks for itself: you can go anywhere with an engineering degree from ECAM Lyon, as long as you put the work in. If you’re passionate about a specific domain, don’t wait for opportunity to knock on your door, go out and find them!